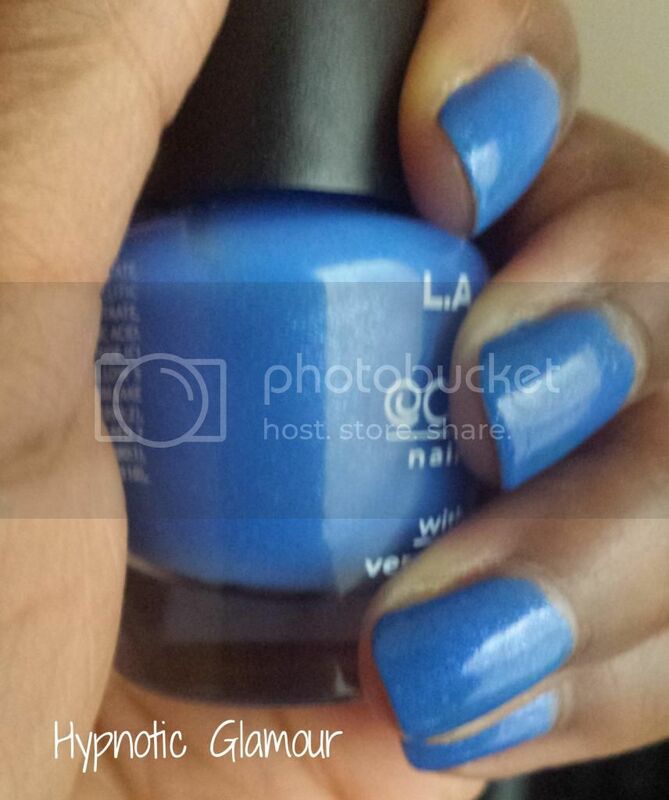 Hypnotic Glamour Beauty Blog: NOTD: LA Colors "Sky High"
NOTD: LA Colors "Sky High"
Here is another polish I picked up from the Dollar Tree. 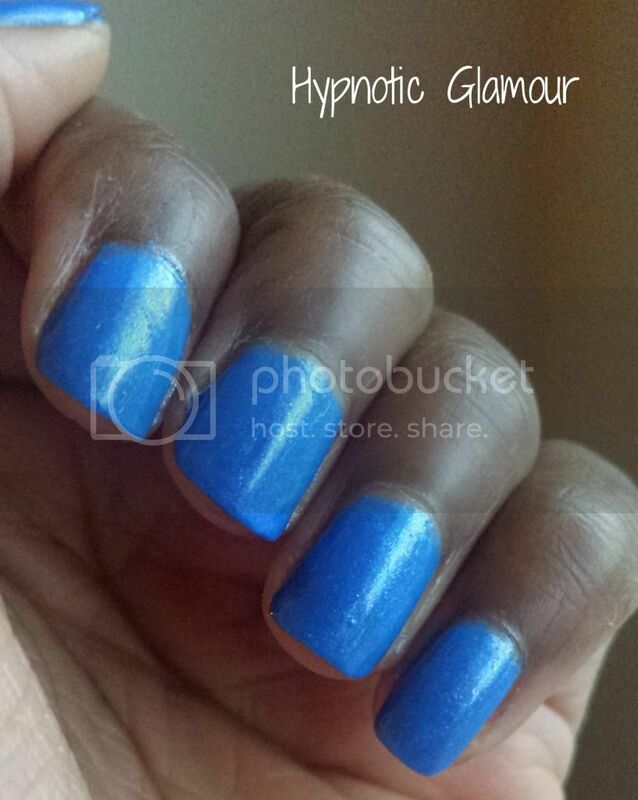 Sky high is a dark blue jelly polish with micro blue and purple glitter. I'm wearing three coats in these pics but you could easily get away with two, I was just more comfortable with three. 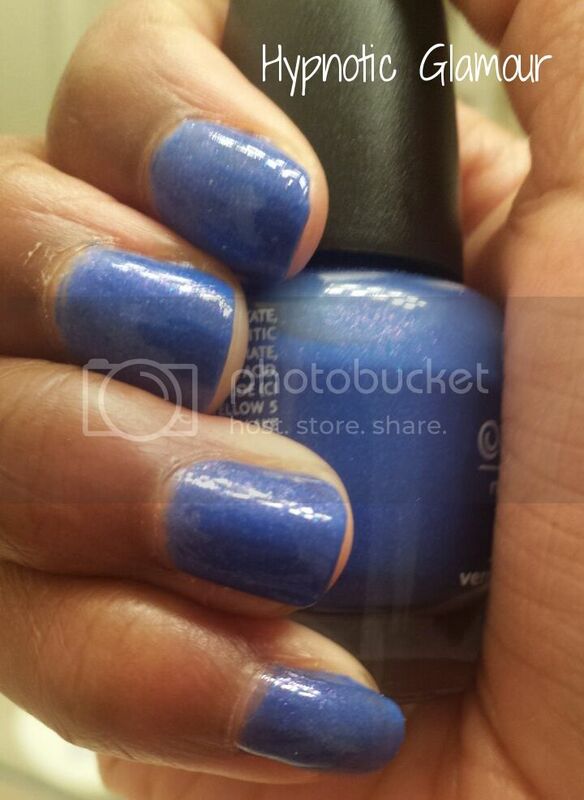 Like Baby Blue, this polish dries super fast but the finish is dull. I topped it off with Revlon's Colorstay Gel-Shine Top Coat.